Retinopathy is a leading cause of vision impairment in diabetes. Its pathogenesis involves inflammation, pathological angiogenesis, neuronal and glial dysfunction. The purinergic P2X7 receptor (P2X7R) has a leading role in inflammation and angiogenesis. Potent and selective P2X7R blockers have been synthesized and tested in Phase I/II clinical studies. We hypothesize that P2X7R blockade will ameliorate diabetes-related pathological retinal changes. 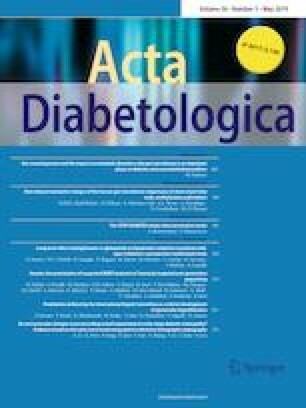 Streptozotocin (STZ)-treated rats were intraperitoneally inoculated with either of two small molecule P2X7R receptor inhibitors, A740003 and AZ10606120, and after blood glucose levels increased to above 400 mg/dL, retinae were analyzed for P2X7R expression, vascular permeability, VEGF, and IL-6 expression. STZ administration caused a near fourfold increase in blood glucose, a large increase in retinal microvasculature permeability, as well as in retinal P2X7R, VEGF, and IL-6 expression. P2X7R blockade fully reversed retinal vascular permeability increase, VEGF accumulation, and IL-6 expression, with no effect on blood glucose. P2X7R blockade might be promising strategy for the treatment of microvascular changes observed in the early phases of diabetic retinopathy. CC is supported by the National Council of Science and Technology of Mexico [CONACYT, n. 247164]. FDV is supported by Grants from the Italian Association for Cancer Research [n. IG 13025 and IG 18581], the Ministry of Health of Italy [n. RF-2011-02348435], and institutional funds from the University of Ferrara. CC conceived and designed the experiments and reviewed the MS; NDL, EAC, GRH, and BMC performed the experiments and analyzed the data; ACS, SF, and AS conceived the study and helped in the analysis of the data; FDV conceived the study and wrote the MS. All authors critically reviewed and/or revised the manuscript for important intellectual content. CC and FDV are the guarantors of this work and, as such, had full access to all the data in the study and took responsibility for the integrity of the data and the accuracy of the data analysis. FDV is a member of the Scientific Advisory Board of Biosceptre Ltd, a UK-based Biotech Company involved in the development of P2X7-targeting antibodies. Other authors declare no conflict of interest. Rats were cared for in accordance with the US National Research Council’s Guide for the Care and Use of Laboratory Animals (8th edn, National Academy Press, Washington, DC, USA). The Bioethics Committee of the Institute of Neurobiology of the National University of Mexico (UNAM) approved all animal experiments.